Welcome to 31 Mill Street, a solid two family home with a nice back yard. Great investment property. Let your tenants pay your mortgage. Come and see your next investment today! Benjamin Franklin Elementary School Pre-School, Elementary School / Public 1 0.84 mi. Binghamton High School Pre-School, High School / Public 3 0.87 mi. East Middle School Middle School / Public 2 1.87 mi. Macarthur School * Pre-School, Elementary School / Public 2 0.71 mi. St John The Evangelist School * Pre-School, Elementary School / Private N/A 0.09 mi. Children's Unit-Treatment & Eval * Elementary School, Middle School, High School / Private N/A 0.4 mi. 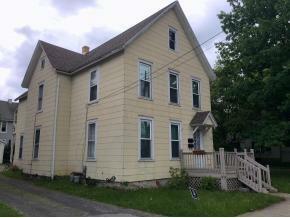 31 Mill Street, Binghamton, NY 13903 multi-family home was sold for $63,000.